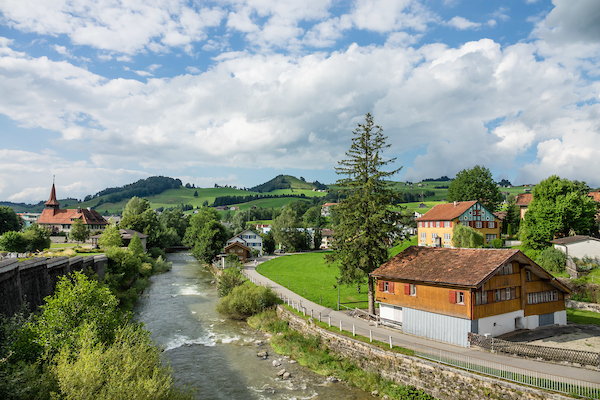 Sitter River in Appenzell village, Switzerland, Europe. 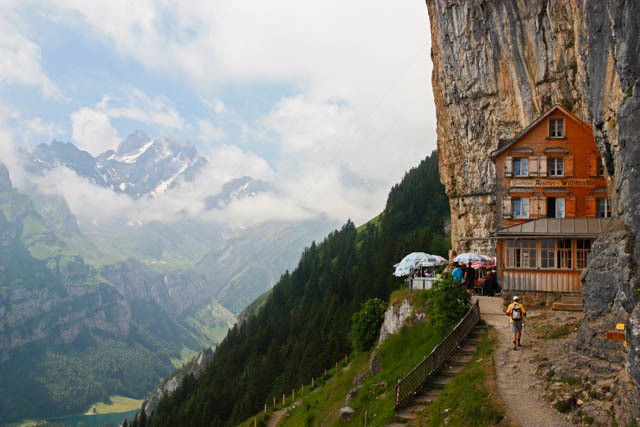 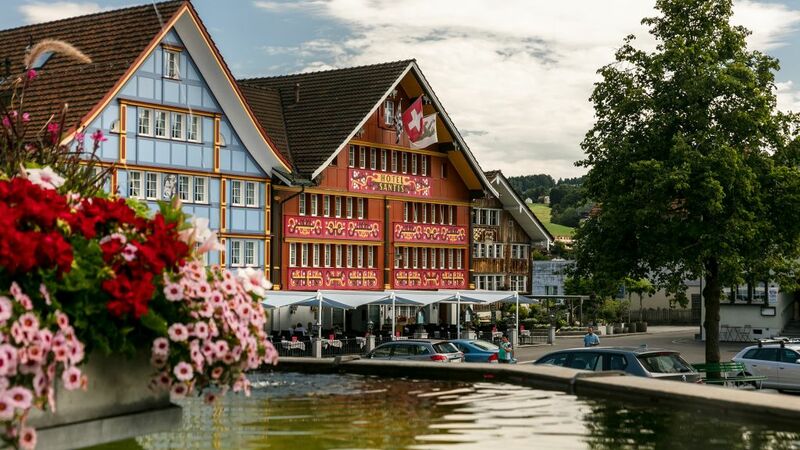 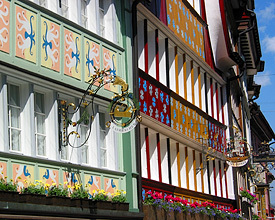 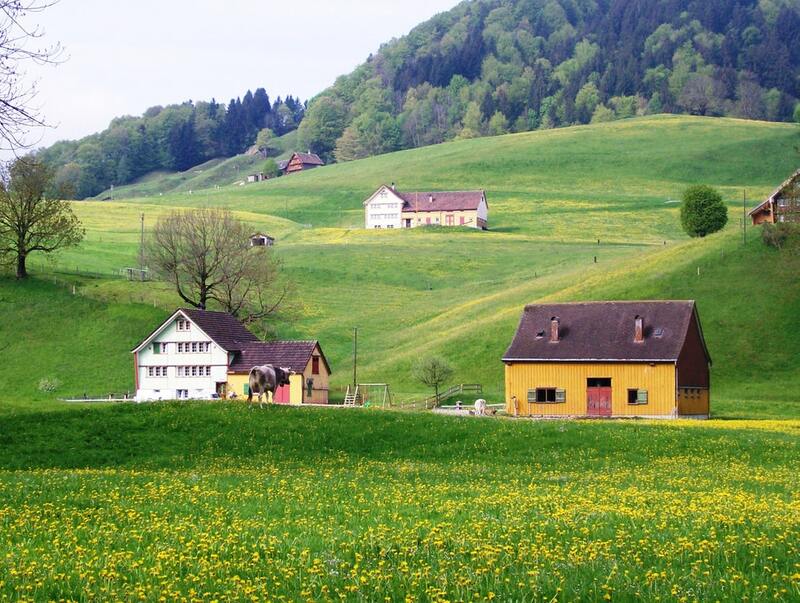 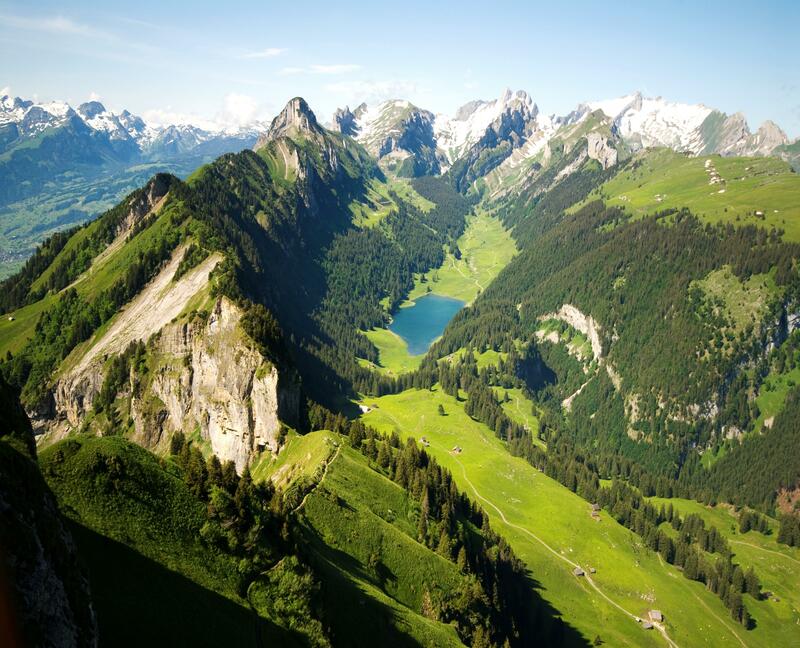 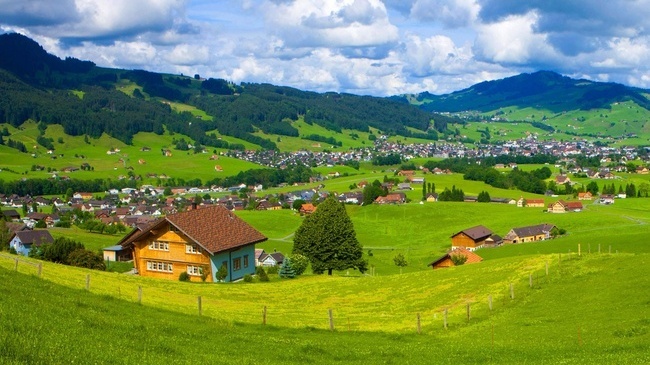 Appenzell Innerrhoden is Switzerland's most traditional and smallest-population canton (second smallest by area). 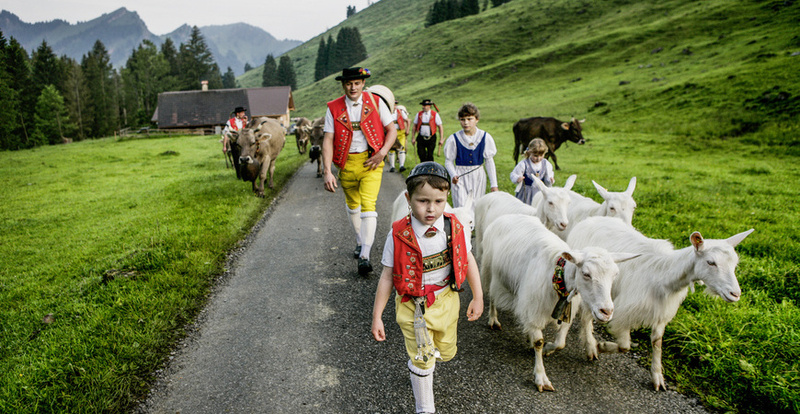 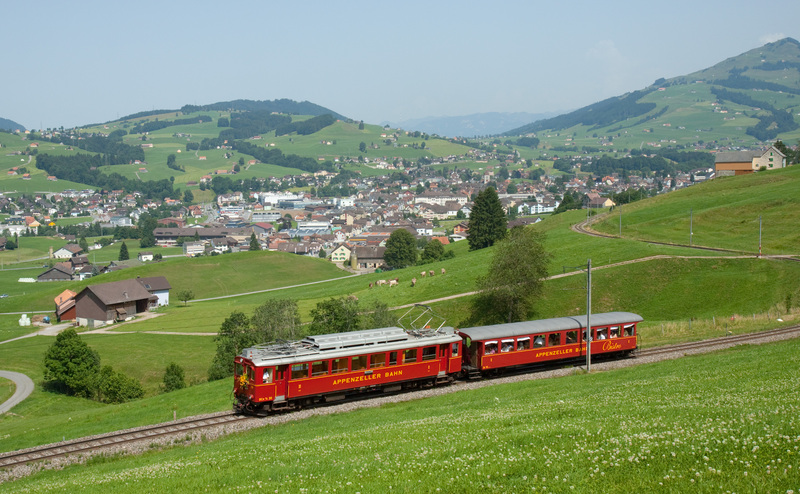 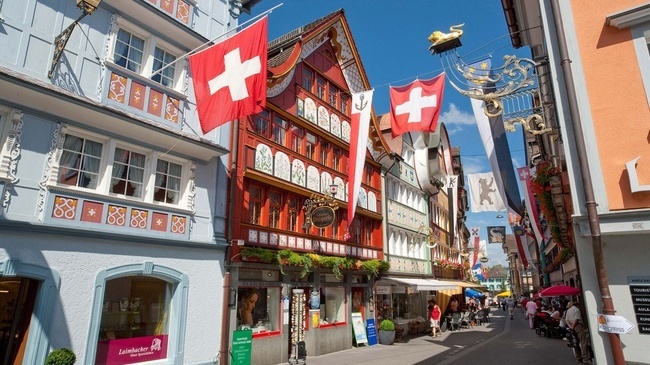 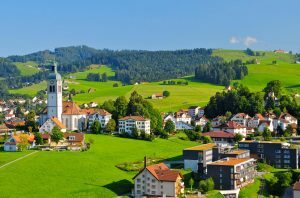 Appenzell is known for rural customs and traditions such as the ceremonial descent of cattle in autumn, as well as hiking tours in the scenic Alpstein region.